The way that it is prepared is different from the get go. I have got pictures to go with the unusual things. Here comes the fun different part. Place whole unpeeled potatoes in large pot and almost cover with cold water. Bring to a boil and simmer until a paring knife easily penetrates the potato. Slice the potatoes (we like to quarter them), while warm (about 6 cups). 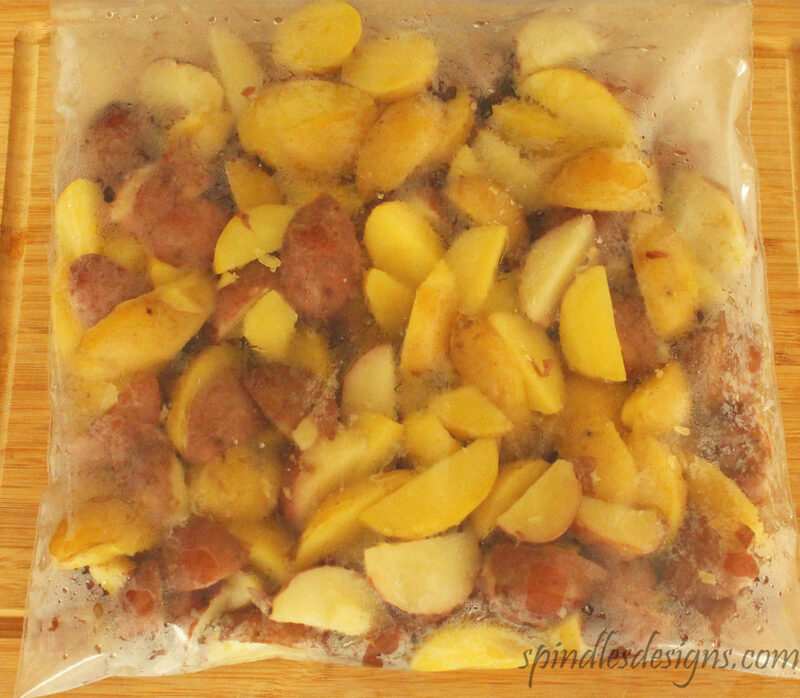 Pour Cider Vinegar over warm potatoes and place in a large resealable freezer bag and chill 2 hours. Put chilled potatoes in large bowl and add celery and onion. Peel hard boiled eggs and separate the yokes out. Chop egg whites and add to the potato mixture. In a separate bowl combine mayonnaise, sour cream and mustard. 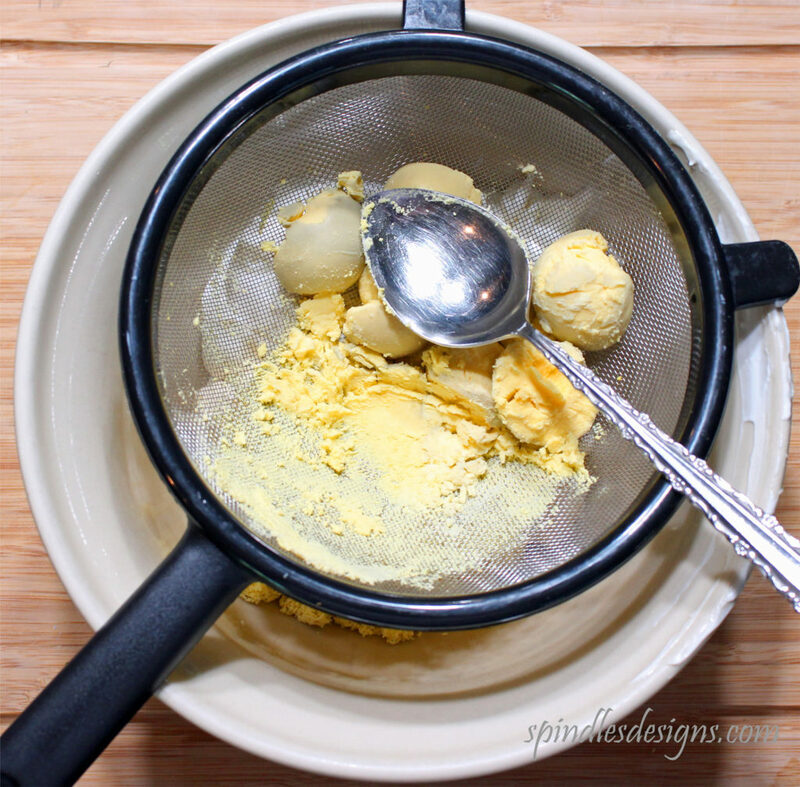 Sieve egg yolks into the mayonnaise mixture. 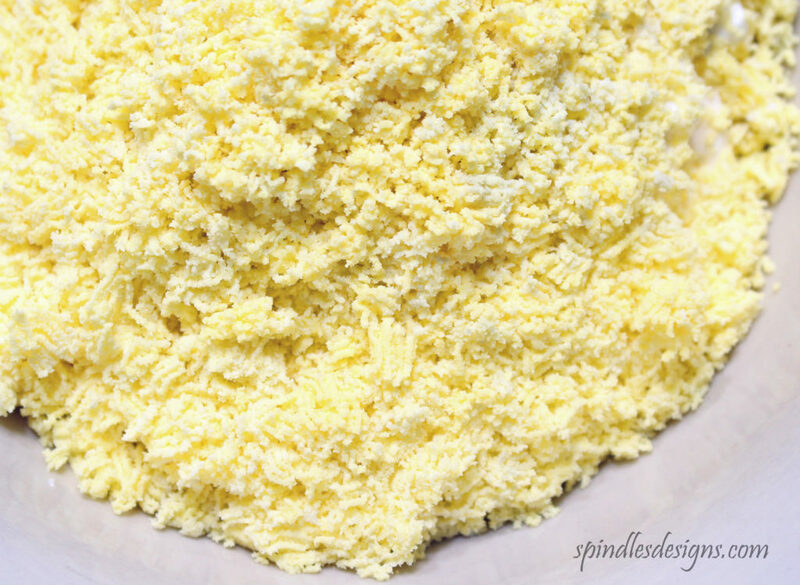 This is what sieved egg yolk looks like. 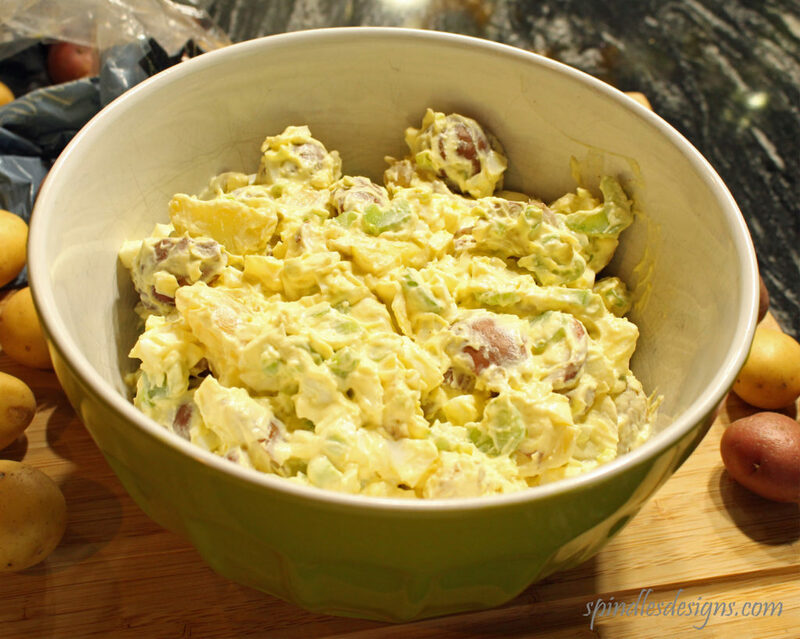 Spoon dressing over potatoes and mix gently. Add salt and celery seed taste. Chill two hours or more before serving. What you need to know is that I do not like vinegar. 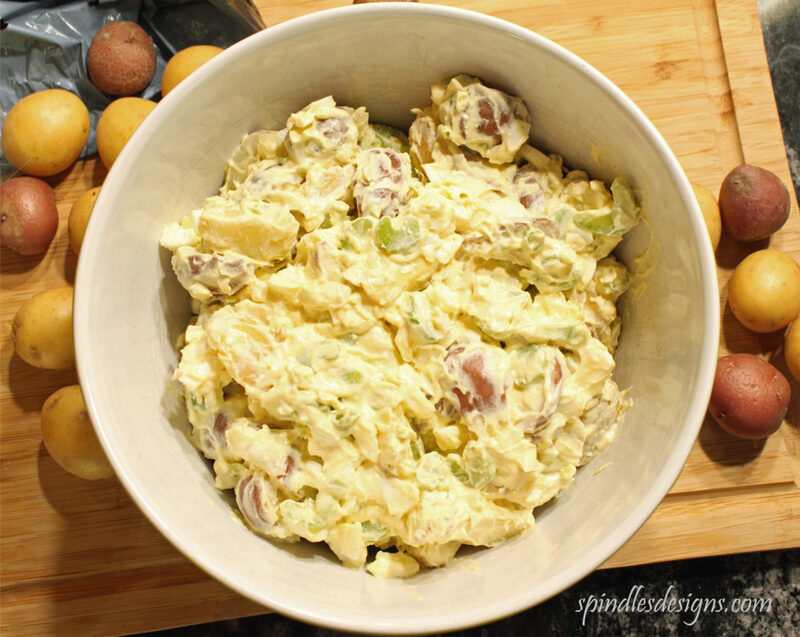 The first time we made this recipe and my husband told me he was going to put the cooked potatoes in cider vinegar I was certain I was going to hate this salad. Well…that is history. I love this salad. Try it the next time your family meets. It goes great with “Crock Pot BBQ Pulled Pork“.